Youth Day celebrations continued for 90, proud, local youth on Friday 19th June 2015 when they were awarded their hard-earned higher education qualifications at the Tertiary School in Business Administration’s (TSiBA) Graduation Ceremony. These students have now graduated from TSiBA, a non-profit, rural business school, empowered and in a strong position to find employment, start their own business or continue with university studies. The esteemed Rhoda Kadalie, Executive Director of Impumelelo Innovations Award Trust and former Human Rights Commissioner, was the honorary guest speaker and said that “Over the years Impumelelo has been fortunate to see the growth and expansion of TSiBA and its satellite TSiBA Eden in providing quality education with an entrepreneurial component that prepares youth for the world of work. Their pass rate is way above the national average and we believe this is a noteworthy project in the fight against youth unemployment in South Africa. 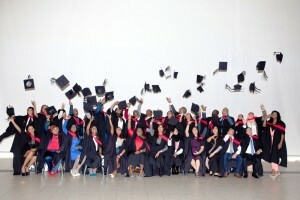 These talented individuals come from surrounding rural areas in the Western Cape with many being the first in their families to graduate with a post-matric qualification. This was made possible through TSiBA Eden awarding them full tuition scholarships to study accredited, tertiary level courses focused on developing entrepreneurship and leadership. TSiBA does not require students to pay back their education monetarily, but rather to Pay it Forward by transferring the knowledge and skills they gain at TSiBA back into their communities. Graduates grow into vital role models to their peers proving that it is possible to achieve your dreams and study further. “The impact graduates of this unique rural business school will have on the growth of the South African economy is significant especially in the context of the drain on the country of having unemployed and unemployable youth on the street” explains Sandy Ueckermann, TSiBA Eden’s Director. “Not only is there the lost opportunity cost of productivity, but the harsh social impact of unemployment, increased rates of depression, illness, crime, drugs, domestic violence and reliance on social grants by our youth. This is why we are celebrating this very momentous occasion today. Thank you to all our supporters who share our vision to graduate entrepreneurial leaders to take South Africa into the future and instigate social change in South Africa”. The accredited curriculum at TSiBA is balanced with both academic content and practical, experiential learning and students are nurtured to develop confidence and the attributes and social conscience of a leader. 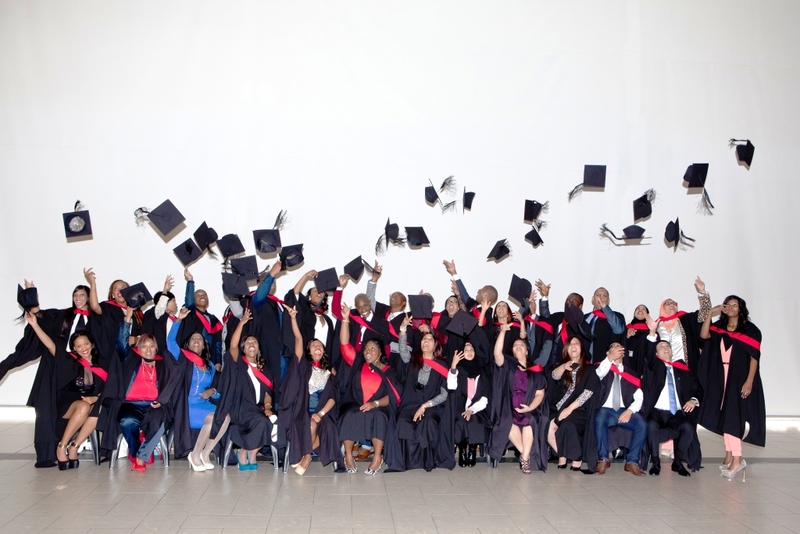 Graduates are developed to become commercially active leaders, viable entrepreneurs, prepared for the formal workplace with the potential to continue studying towards a Bachelor in Business Administration degree at TSiBA’s Cape Town campus. Luvo Vice, TSiBA Eden 2015 graduate, says that “During the time I spent at TSiBA Eden I transformed from being a child to an adult. I learned to be independent and responsible and to take control of my life and make my own decisions about my life. My dream is to be a successful entrepreneur, motivate and empower other fellow South Africans to follow suit and start their own businesses to help uplift their communities through job creation and ultimately alleviate poverty in our country”. TSiBA Education is a non-profit business school founded in 2004 and registered with the Department of Higher Education (No: 2007/HE08/001) and has two campuses – an urban campus in Cape Town and a rural campus, TSiBA Eden in Karatara, near Knysna. TSiBA Eden is unique as it focuses on offering green entrepreneurial bridging and skills development programmes serving rural communities in the Southern Cape and beyond. The Eden campus not only educates students and teaches practical business skills, but also provides full board and lodging for non-local students. TSiBA Eden also has an Ignition Centre, a resource hub for local entrepreneurs which extends TSiBA’s mission of “Igniting Opportunity” to reach beyond students and into the community. Support is available to job seekers and entrepreneurs through training courses, mentorship, networking opportunities, office and business infrastructure. Another offering is TSiBA Education Solutions, one of TSiBA’s income generation projects, which runs Intern Management Programmes with various organisations like the Knysna Municipality. Applications are now open for 2016 and close on 1 December 2015. For more information, please contact Genevieve on (044) 356 2789 extension 19, or email [email protected].